The GP from Best will take you back to the future, back to when all that mattered was raw performance and nailing every new trick you tried. The GP is team rider designed, tuned and tested and delivers an unbeatable combination of pop, responsive steering and amazing unhooked feel. The Reflex leading edge design (Patent Pending), unique to the GP, works just like suspension for your kite; giving the best unhooked feel you’ve ever ridden, especially in the turns, and helps to soak up every gust. The Reflex LE design also gives the GP an extended canopy lift area giving you more lift for jumping and effortless drive for staying upwind in the competition zone. Designed for new-school and wakestyle riders the GP’s Twin Tune feature gives you multiple front and rear attachment point options so you can dial in more pop, better upwind ability and more responsive handling for competition heats or detune your GP for practicing your latest tricks. With Twin Tune you can effortlessly switch between new-school and wakestyle settings in seconds, allowing you to reinvent your style at a moment’s notice. First impression of the kite is a smooth C-kite feeling. Fast enough, nice bar pressure and the kite wants to go to the edge of the windwindow all the time. Perfect for a C-kite in my opinion. The Bar: Finally Best made a good looking bar with a nice soft grip. It looks durable. And a big plus are the soft bar ends. A Weakness of the bar is the depower system. A lot of handles what is very anoying when you're kiting. The kite has a good bar pressure to know exactly where the kite is. Nice for rotations and handlepasses. Relaunch is very good. it turns right in the powerzone and flies directly to 12 o'clock. With the good depower you're not making a powerfull bodydrag. For a C-kite is has a quit good depower. Conclusion: The kite has enough perfomance to perform and learn your unhooked tricks. With an easy handling and smooth feeling will make this kite one of the better C-kites of this moment in my opinion. Perfect kite for freestyle, Nice airtime and pop. The kite is quik and very stable in the air, looks really good. And it looks also good"nice design"
After the session you feel your hands because the kitebar is thicker than a normal one...that doesn't matter, I'm in love. *Boost, did a unhooked kiteloop in a gust, and the kite makes a nice wide turning circle and gives you plenty of power, the bar almost ripped out of mine hands. *Kite Feedback, the kite is nice a slow, when you unhook the kite stays at the same position, and is not nervously. *Hooked in, when was riding i had plenty of power and some times it felt a little as overpowerd, but when i made a hooked in jump i was suprided by how low the jumps were. Just to make it clear I´m not a very good newschool rider, but i do manage some passes and everything to blind/ wrapped, different kind of loops, and some basic old school stuff. I´ve tried the GP in all kind off conditions, underpowered, overpowered, waves, chop and flatwater, stable and gusty wind. First of all I expected this kite to be a handful and scare me a bit, sure it delivers tons of power and will boost you sky high, amazing lift and hangtime, but the depower was way better than I expected. I have bin flying the Team C on good stable days, and the Taboo and Kahoona on other days. It´s so much more friendly than the Team C, really when it was supergusty I could still manage this kite, never to uncomfortable. Even a friend of mine who does old school and just boosts omn snow and not unhooked on water at all, liked the kite. So the REFLEX is definitly not a hype! You could both feel and see the effect on the kite. The bar feel is a bit heavy, but it needs to be that way to be as stable unhoked, and not steer when you are trying a new trick with your kite low. It feels like a C-kite, so you have to time your jump with steering your bar in a bit different way than on a SLE/delta. It's actually a fast kite despite all its stability. It's kind of like it will just sit there until you really tells it to move, and then it will move fast, with power in the turn and do what you want. The loop is really nice, powerfull but not as "it's going to kill me" as I expected, more like I would wish it to be. You'll still dare to pull the loop. It's a nice powerfull loop, and it will pick you up again afterwards. But sure a bit more of a handful than the rest of the quiver, but not as dangerous as one might expect form a pure competition C.
The unhooked feel of the kite is just amazing, you can of course tune it to suite your own rinding style, but it's soooo stable. Even the 7 felt more stable than most of the 12 I've ever tried, and I try kites as often as I can. I know it sounds too good to be true, but that was the feel of it, just superstable. There is a lot of slack after the pop, in the beginning you will feel quite powered, be course of a bit heavy bar pressure, but it gets so loose after the pop. You'll find it so much easier to do the pass, and to do it with the kite low and with style. The pop is really powerfull but the slack really helps getting the trick. So I'm looking so much forward to getting more time on this kite, I'm sure it will make me a way better rider. The bar is really smooth, a nice feel, and every part seem to have bin made with hard use in mind. A huge nice chickenloop, a nice grip, and the cuff is made of hard plastic and seems really durable. Even the chikenloop is made more durable. It's built upon the basics of the Redline Performance bar, but a real upgrade. There is a thicker depowerline, and low ware Delrin inserts in the hole were it goes through, to reduce line wear. Even the leash is improved, with a nice padding, a swivel, and a ticker and stronger hook. 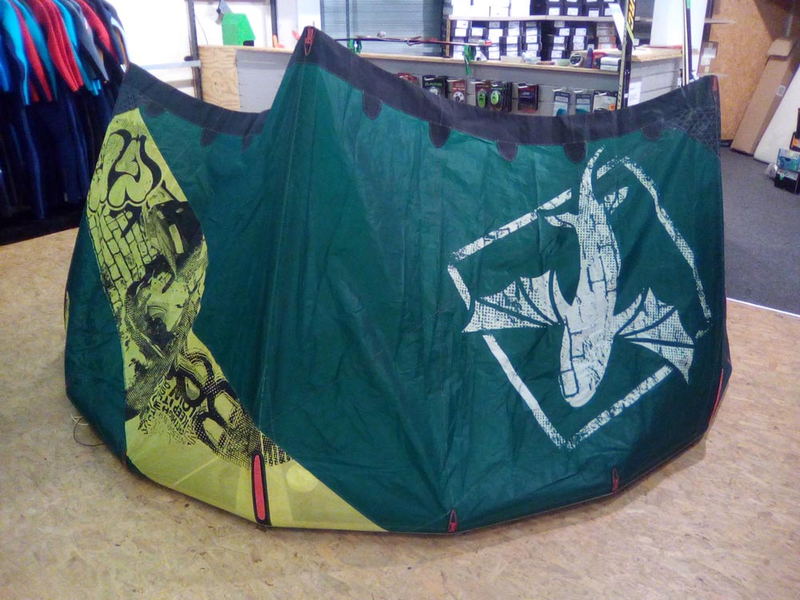 I love this kite, it's not for everyone, but for those making their passes and are serious about freestyle. It's the perfect wakestyle kite, and an amazing booster. It is the best unhooked kite I've ever tried! And I would not be surprised if the pros stand in line to sign with Best having tried this kite. Try it, you'll be supprised!